If you are eating the standard Western diet of cooked and processed food you may be looking for a way to make a few healthy changes that will improve your health so you can feel better, feel less tired and get rid of a few if not all of your health ailments. 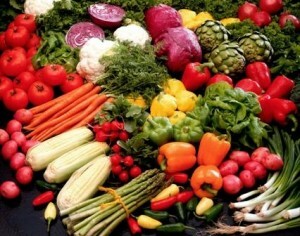 We hear that we need to eat more vegetables and fruits each day but how often do we hear that we need to eat them raw? Truth is, you need to be eating more raw or uncooked food and it does not have to be lettuce and carrot sticks. ‘Raw’ refers to vegetables, fruits, nuts and seeds that taste good to the majority of human kind in their basic simplicity – direct from tree, bush, and vine or from below ground. There are lots of interesting and delicious ways to prepare raw and living food that when you see them you will scarcely believe they can be so good for you. Even grains that are getting a severe bashing lately can be made healthy so it will benefit health and not detract from it. Raw uncooked food is super healthy and it gives you lots of vitamins and minerals that nourish your body and can lead you to a higher quality of health. Unfortunately in our busy modern day lives it is far easier to buy some packages or prepared food that you can eat right away rather than preparing foods from scratch. But the cost of doing that can be very high-poor health for years and maybe even a shortened life. In order to keep the nutrients “alive” in living foods we need to ‘cook’ and dry them out at a low temperatures which is quite different from old fashioned high temperature cooking methods that render food very ‘dead’ and destroy much of its nutrient value. Along with improved overall health, weight loss, energy, detoxification, vitality, positive mental attitude, and longevity are some of the reasons people choose to eat more raw grains, veggies, fruits, nuts, and seeds rather than cooking everything we put into our mouths. Unfortunately, few meals that we enjoy today include raw elements except for the leafy green salads we all know so well. Adding more raw foods to our diets, means a higher level of health, excess weight can easily be lost, more energy created and blood sugar and fat levels that can lead to poor health and eventually disease can be controlled easier. You need to increase your intake of natural plant based food items, slowly squeezing out processed and cooked meals. The easy way to do this is to simply add some grain, a vegetable, fruit, or some nuts or seeds to each one of your meals that have not been destroyed by heat or processing. • It helps to push food through your digestive tract keeping you healthy inside. One of the main benefits of eating more raw and uncooked food is that it retains the enzymes that are needed to digest it properly. When food is cooked these enzymes are destroyed which makes our body work harder. This is because the body has to tap emergency enzyme supplies in the pancreas to digest the cooked food which makes one feel tired and less energetic after eating. Enzymes also act as catalysts in hundreds of thousands of chemical reactions that take place throughout your body. They are essential for digesting, absorbing and converting food into energy at cellular level and are critical for most of the metabolic activities taking place in your body every second of every day.Enzymes contain antibiotic properties which help fight free radicals in your body. This reduces the work load of the liver and pancreas. As we grow older, the ability of the body to produce natural enzyme molecules diminishes, so the preservation of these live enzymes in uncooked food plays an important role in keeping you healthy. Foods that are not alive and in fact are very ‘dead’ are anything that has been cooked, canned, processed, packaged or refined in any way by man. They can usually be easily identified as they come in pretty boxes and packets with fancy graphics with an ingredient list of multiple unpronounceable names of chemicals, additives, trans-fats, man-made sugars and empty carbohydrates. They usually are calorie rich and nutrient poor. If you eat living food you will find you feel energized after eating as these foods contain much more energy than when they are cooked. Generally the principle behind eating raw food is that we need to eat foods which give us energy, not foods that deplete our energy. Take the following short quiz to find out.